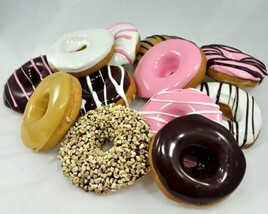 I first saw this range of fake food (uh huh) for sale on Fab.com and knew that I needed to find out more about it. Apparently, Just Dough It! has been making fake food for more than 15 years, handcrafting most of the “faux food items” featured on their website at their warehouse in Oklahoma. But wait, is there really a market for fake food? I hear you cry. According to the company’s website, the answer to that would be a big fat YES – their fake foods have been used in several movies and tv shows, as well as stores and homes. Interestingly, they claim Pizza Hut as a company that has used their fake food, but I’m going to leave that one alone. 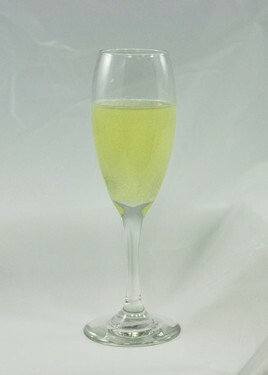 Care for a glass of champagne? Thankfully, it comes ‘with bubbles’ according to the product blurb. And for only $2 extra, you can ‘add condensation to the glass’. Yes, really. 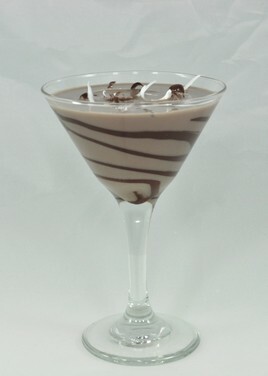 Or what about a decadent chocolate martini, complete with ‘chocolate drizzle on glass and chocolate shavings on top’? There is also a delicious looking fake mojito, which I’m sure would prove to be downright annoying on a hot summer’s afternoon. 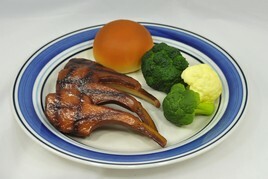 There’s a fake lamb chop dinner (which looks eerily similar to hospital food – maybe this is where they get it?) and a fake plate of sushi. Fake beer, fake popcorn, fake pretzels, fake chocolate dipped fruit. Everything you need for a fake night in. There are fake ice creams, fake milkshakes, fake cupcakes and even fake chocolate frosted cake with a fake slice removed. Apparently, you should “use our decorative fake wine, fake beer and decorative bar drinks as food props, or to spruce up your room and give that finished look”. And that gave me an idea. 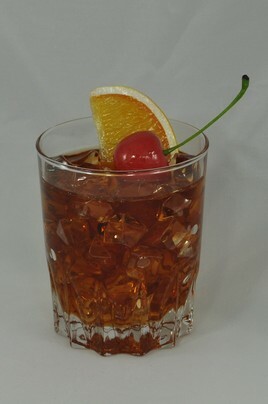 I’m going to buy the fake Old Fashioned (on the rocks, including orange wedge and cherry). Just so I can pretend that Don Draper from Mad Men is somewhere in my apartment. 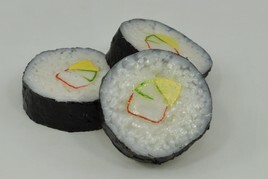 Fancy fake food? You can check out Just Dough It! for your ‘realistic food and drink replicas’ here. Bon (faux) appetit! Like your thinking in relation to Don Draper! But I would ensure that you pay the $2 extra to get the condensation on the glass!! 🙂 They have definitely thought of everything!! Great find! Not so sure about fake food, Sparks. WHY?